NeuLion continues to see real momentum in live 4K streaming as a global leader. The biggest football match in Spain of the season between FC Barcelona and Real Madrid, taking place at Camp Nou Stadium in Barcelona, on Saturday the 2nd of April at 2:30 pm ET, is the fourth Live 4K event for the pioneering sports tech company in the last year. The “Clasico” La Liga soccer game is offered over-the-top in Ultra HD 4K 60 FPS Resolution to Sony 4K HDR Ultra HD TVs enhancing the fan experience to new technological levels. The Sports Techie community blog chatted with Executive Vice President at NeuLion, Chris Wagner, about the new MEDIAPRO partnership with NeuLion for this epic Live 4K streaming event, their services and the shift in the broadcast industry from high-definition to 4K. The NFL, NBA and El Clasico are delivering a specialized NeuLion experience with 4 screens at one time, clips, rewind functionality, and data layers of scores and stats. This classic European event is streaming live in 4K with the NeuLion, Inc. (TSX: NLN) Digital Platform and delivered over-the-top (OTT) to Sony 4K HDR Ultra HD TV owners that have integrated the NeuLion 4K Streaming SDK for viewing at various locations including Camp Nou Stadium, Mediapro / Overon offices in Barcelona and Madrid, and NeuLion Offices in the United States. The NeuLion® Digital Platform is an end-to-end platform providing licensed components from content ingestion, encoding and management to content security, monetization and monitoring that together streamline the content delivery process. The platform facilitates the streaming and sharing of high-quality content up to Ultra HD/4K, including premium sports and entertainment content. NeuLion now offers a self-serve event portal giving users quick access to videos and content. 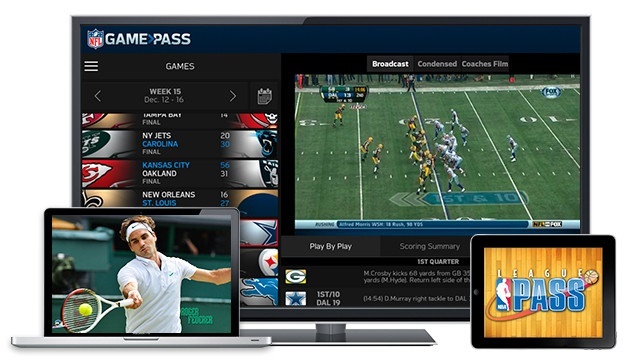 Wagner said, “The 4K live sports business model is moving towards PPV.” Video content providers are licensing NeuLion’s evolving platform to offer live and on-demand digital video content to Internet-enabled devices. Subscriptions and usage are ways to monetize for partners and grow profits. They have no specific competition specializing in the live Professional sports space NeuLion occupies for almost ten years now. “Streaming the “Classico” soccer match live in 4K for the first time, is a new NeuLion milestone, in a series of firsts in the end-to-end delivery of live 4K sports to internet connected devices,” said Dr. Kanaan Jemili, CEO of NeuLion. By encoding content, packaging content, and protecting content, on appealing applications like Xbox One or PS4, the 4k Live future looks bright. Their last live 4k event was with Univision. NeuLion, Univision and Sony delivered the first North American LIVE soccer broadcast in 4K 60fps. On February 10, 2016, Univision delivered a 4K live stream of the friendly match between Mexico’s National Team and Senegal taking place at Marlins Park Stadium in Miami, Florida. The live event, produced by Univision Deportes and NEP, was streamed live in 4K by leveraging the NeuLion® Digital Platform and delivered over-the-top (OTT) to Sony 4K Ultra HD TVs that have integrated the NeuLion 4K Streaming SDK for viewing at Marlins Park Stadium and multiple Sony locations in New York and California. NeuLion’s platform and SDK are the links to completing the ecosystem for delivering LIVE video in 4K to devices everywhere. The World Surfing League (WSL) streams surf event around the world and was up with NeuLion designed apps in six to eight weeks. The WSL began streaming on YouTube and their website to now being partnered with NeuLion. The Tennis Channel Powered By NeuLion delivers Wimbledon streaming video directly to the fans. Any company that owns the rights to broadcast content and wants to monetize may be a good fit with the NeuLion streaming platform that provides a special experience streaming service other leagues and associations, with the audience in place, can use to reach them. Sports Techie, sports and other verticals on YouTube wanting to monetize as a goal by delivering live and on demand 4K content management, distribution and monetization are the kind of partners Wagner wants to hear from. Barca has a 10-point lead over their arch rivals from Madrid. The last Clasico loss in Santiago Bernabeu to FCB has Real smarting. Messi leads all El Clasico scorers with 21 goals while Ronaldo is in third place with 15 overall tallies. The smart money is on Barca to win at home because Neymar and Surarez are at the top of their game. Live 4K streaming technology makes you feel like you are at the match watching these two rival franchises play for El Clasico pride.